Did you know that the University of Pittsburgh consistently has large attendance at the annual Pittsburgh BioResearch Product Faire™ Event? If this year's upcoming University of Pittsburgh BioResearch product Faire™ event is anything like past events, hundreds of researchers and dozens of exhibitors will be present to interact, demonstrate, and/or review and learn about new lab products and solutions and push back the frontiers of science event further. 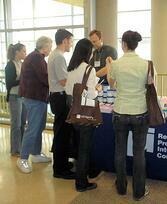 Last year's Pittsburgh event boasted 442 attendees of whom 94 were professors, post docs and purchasing agents. Exhibitors attending the U Pitt Event over the last 5 years have reported the following in terms of how effective this event was in terms of educating customers about the lab products, equipment and supplies that they were offering. U Pitt currently has over $416 million in new NIH research grants in 2012, adding to this $780 million research and development marketplace. This U Pitt research product event is a great opportunity to meet with a large number of qualified leads within a well funded institution over a very short time period. By now we’re all thinking about our 2013 summer schedule and starting to make hard and fast plans. Not just to be ahead of the game either, but because the financial incentives for booking early are too good to pass up. With our summer special pricing on 2014 shows, you can lock in the lowest prices period on next year’s Biotechnology Vendor Showcase™, BioResearch Product Faire™, and Front Line™ Events if you sign up by September 22, 2013. And we’ll include a complimentary extended attendee list to sweeten the deal even more. 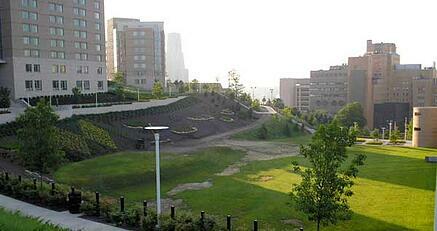 The Pittsburgh BRPF event will be held at the University of Pittsburgh’s Petersen Event Center. On the other side of the street is the VA Pittsburgh Health Center University Drive Campus. Call us or visit the UPitt main site. You can register online for any of our 2013 events here. Lab Suppliers, please note: as of today we still have a few spaces available for our June 13th Pittsburgh BioResearch Product Faire™ Event. Of you are interested, please call Biotechnology Calendar, Inc. today to get the best placement at this consistently well attended event.